Can giving brain cells a “breather” from the protein that causes Huntington’s disease shore up their ability to fight off the disease? Perhaps so, according to a paper in the June 21 Neuron. Researchers led by Don Cleveland at the University of California, San Diego, in collaboration with scientists at biotech companies Isis Pharmaceuticals, Carlsbad, California, and Genzyme Corporation, Framingham, Massachusetts, transiently squelched production of mutant human huntingtin (Htt) protein in several mouse models of the disease. Not only did the animals’ motor skills and behavior normalize, but the improvement lasted for months after protein levels had rebounded. The authors silenced the gene with antisense oligonucleotides (ASOs), which pair up to a section of human Htt mRNA and promote its degradation. ASOs infused into the cerebrospinal fluid (CSF) lower Htt levels throughout the brain in mice and monkeys, the authors report. The broad distribution and long-lasting effect of the treatment are encouraging signs for human therapy, commentators told Alzforum. “This is a far more detailed exploration of the consequences of gene silencing in an HD model than has ever been done before,” agreed David Corey at the University of Texas Southwestern Medical Center, Dallas, who collaborates with Cleveland and Isis on a different HD strategy. Corey said he found it particularly surprising and exciting that ASOs, which are relatively large molecules, could diffuse throughout the brain, enter cells, and lower huntingtin levels so effectively. This might bode well for using the strategy for other neurodegenerative diseases as well. People with HD suffer from progressive cognitive deficits and severe movement problems that typically start around age 40. People who get this devastating disease have inherited a single bad copy of Htt that encodes a protein with an expanded glutamine tract. Although the protein is expressed throughout the brain, the disease seems to hit particularly hard in the striatum, a deep-brain structure intimately involved with movement. There are no treatments for the disorder, although numerous strategies are in trials. One approach is to suppress the Htt gene. Researchers are pursuing a number of different methods, some of which are poised to enter clinical trials. For example, Beverly Davidson at the University of Iowa, Iowa City, uses viral delivery to express interfering RNA in the striatum of HD mice (see Boudreau et al., 2009; Harper et al., 2005). Corey’s group is investigating both antisense (see Gagnon et al., 2010) and RNAi (see Hu et al., 2010) strategies. Other work uses stem cells to deliver interfering RNA to neurons (see Jan 2012 news). Most of these methods have focused on targeted delivery of the therapeutic agent to deep-brain regions, which may leave the cortex vulnerable to the wasting effects of the disease. To more broadly dock Htt protein, Cleveland and colleagues turned to ASOs. First author Holly Kordasiewicz synthesized a strand of DNA 20 nucleotides long that complements a portion of human Htt, adding chemical modifications known to improve the stability, cellular uptake, and potency of these molecules (see Bennett and Swayze, 2010). The authors infused this ASO into the ventricles of HD mice for two weeks, allowing the flow of cerebrospinal fluid to disperse the drug throughout the brain. The ASOs accumulated in most brain regions, and in both neurons and glia, the authors report. They examined the result of treatment in two different mouse models, BACHD and YAC128, which express full-length mutant human huntingtin and develop a slowly progressive disease. In both, human Htt mRNA and protein dropped to less than half of normal levels after treatment and stayed low for about 12 more weeks, rebounding by 16 weeks. Endogenous mouse huntingtin was unaffected. The effect on symptoms was also similar in the two models. If treatment began at a young age, when mice had mild symptoms, their motor abilities and measures of anxiety became indistinguishable from those of normal mice, albeit after a two-month lag. When treatment was delayed until six months of age, the mice benefited less. While these much sicker animals became more dexterous and less anxious, they did not fully recover to normal. Strikingly, at both ages the phenotypic improvement persisted at least four months after Htt returned to baseline. The benefits of treatment were less dramatic in a third, more aggressive, HD mouse model, R6/2, which is distinguished by rapid brain degeneration and death at four months of age. Four weeks of treatment given to two-month-old mice stopped brain atrophy and added about three weeks to the lifespan. The long-term benefit of knocking down Htt is not that surprising when you consider that HD is a late-onset disease, said Carl Johnson, scientific director at the Hereditary Disease Foundation. Human brain cells appear able to tolerate mutant Htt for many years, perhaps by activating cellular protective mechanisms. “The mutant phenotype may well be caused by a gradual running-down of stress resilience pathways,” Johnson suggested. “If you now suppress the mutant protein, those pathways may recover and be able to handle the protein for a certain amount of time after that.” What the ideal dosing schedule might be in humans is not yet clear, Johnson added. More animal work is needed to determine timing and dosage. In addition, mouse models of HD typically have less neuron death than human patients do, implying it may be easier for the animals to recover function, Johnson cautioned. This, along with the paper’s finding of better recovery in younger animals, suggests that human treatment should ideally be started early in the disease course, perhaps years before diagnosis. One question in the field is whether researchers should repress both disease-causing and normal alleles of Htt. The normal protein can co-aggregate with mutant Htt (see Busch et al., 2003), but it also plays a role in neuronal survival in the adult forebrain (see Dragatsis et al., 2000). To investigate this, the authors made ASOs that targeted a sequence common to mouse and human Htt mRNA. In the BACHD mice, this construct was as effective as the human-specific ASOs and caused no apparent side effects or toxicity while knocking down both human and mouse huntingtin. Coauthor Frank Bennett, who heads Isis’ research department, notes that the company plans to take this approach into clinical trials, but that much work still remains to be done. “We expect to identify a development candidate and start preclinical development activities early next year,” he wrote to Alzforum. Will ASOs penetrate as well into the much larger and more complex human brain? The authors partially addressed this question by infusing the CSF of healthy rhesus monkeys with ASOs complementary to endogenous Htt. Although most brain regions took up the drug, penetration was best in the cortex, where Htt dropped 50 percent. In the striatum, levels dropped by only about 25 percent. “That failure to penetrate to deeper brain structures may be more of a limitation in human studies,” Johnson pointed out. One solution might be to combine the ASO approach with targeted delivery of RNAi to the striatum, he suggested. The various gene silencing strategies all have advantages and disadvantages, and it is not yet clear which will work best in humans. For this reason, “We’re encouraging all of these approaches to go forward in parallel,” he said. 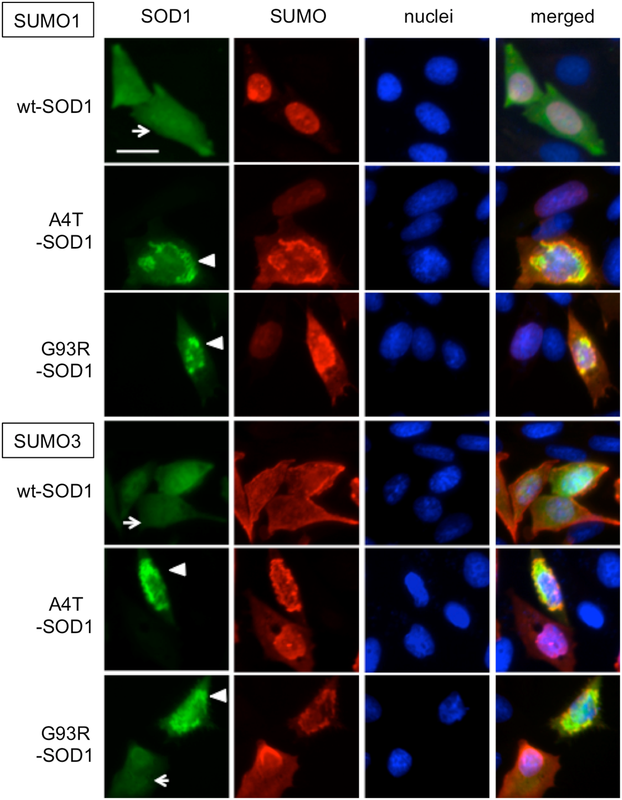 The ASO method of gene knockdown may be applicable to other neurodegenerative diseases where researchers can pinpoint a specific protein target, commentators noted. One example would be familial Alzheimer’s cases caused by mutations in specific genes. Even in diseases where the root cause is less clear, the approach eventually could block specific signaling pathways or receptors, Davidson suggested. Cleveland and Isis first developed the ASO strategy for amyotrophic lateral sclerosis (see Smith et al., 2006); a Phase 1 trial wrapped up in January. “We’re all anxiously awaiting data on the outcome of those trials, both in terms of the safety of the approach and its utility for improving the lives of patients with ALS,” Davidson said. Kordasiewicz HB, Stanek LM, Wancewicz EV, Mazur C, McAlonis MM, Pytel KA, Artates JW, Weiss A, Cheng SH, Shihabuddin LS, Hung G, Bennett CF, Cleveland DW. Sustained therapeutic reversal of Huntington’s disease by transient repression of huntingtin synthesis. Neuron. 2012 Jun 21;74(6):1031-44. PubMed. Lu XH, Yang XW. “Huntingtin holiday”: progress toward an antisense therapy for Huntington’s disease. Neuron. 2012 Jun 21;74(6):964-6. PubMed. Boudreau RL, McBride JL, Martins I, Shen S, Xing Y, Carter BJ, Davidson BL. Nonallele-specific silencing of mutant and wild-type huntingtin demonstrates therapeutic efficacy in Huntington’s disease mice. Mol Ther. 2009 Jun;17(6):1053-63. PubMed. Harper SQ, Staber PD, He X, Eliason SL, Martins IH, Mao Q, Yang L, Kotin RM, Paulson HL, Davidson BL. RNA interference improves motor and neuropathological abnormalities in a Huntington’s disease mouse model. Proc Natl Acad Sci U S A. 2005 Apr 19;102(16):5820-5. PubMed. Hu J, Liu J, Corey DR. Allele-selective inhibition of huntingtin expression by switching to an miRNA-like RNAi mechanism. Chem Biol. 2010 Nov 24;17(11):1183-8. PubMed. Bennett CF, Swayze EE. RNA targeting therapeutics: molecular mechanisms of antisense oligonucleotides as a therapeutic platform. Annu Rev Pharmacol Toxicol. 2010;50:259-93. PubMed. Busch A, Engemann S, Lurz R, Okazawa H, Lehrach H, Wanker EE. Mutant huntingtin promotes the fibrillogenesis of wild-type huntingtin: a potential mechanism for loss of huntingtin function in Huntington’s disease. J Biol Chem. 2003 Oct 17;278(42):41452-61. PubMed. Dragatsis I, Levine MS, Zeitlin S. Inactivation of Hdh in the brain and testis results in progressive neurodegeneration and sterility in mice. Nat Genet. 2000 Nov;26(3):300-6. PubMed. Smith RA, Miller TM, Yamanaka K, Monia BP, Condon TP, Hung G, Lobsiger CS, Ward CM, McAlonis-Downes M, Wei H, Wancewicz EV, Bennett CF, Cleveland DW. Antisense oligonucleotide therapy for neurodegenerative disease. J Clin Invest. 2006 Aug;116(8):2290-6. PubMed. Copyright 1996–2012 Biomedical Research Forum, LLC. All Rights Reserved.